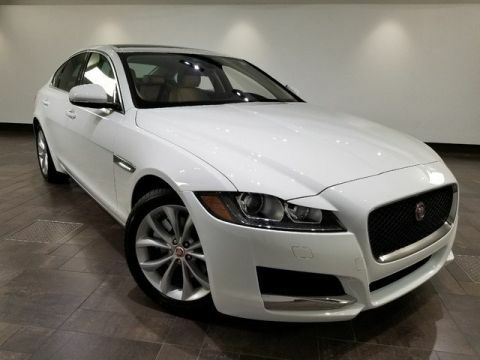 WHEEL LOCK PACKAGE -inc: Jaguar logo license plate frame, Chrome Wheel Locks, SIRIUSXM SATELLITE RADIO -inc: 3 month complimentary service, PROTECTION PACKAGE -inc: Front & Rear Rubber Mats, Collapsible Cargo Carrier, Trunk Mat, NAVIGATION - SD CARD BASED -inc: InControl Apps, CAR CARE KIT, 4G WI-FI HOTSPOT -inc: 3 month complimentary data plan, Wheels: 18 5 Split-Spoke Alloy (Style 5033), Voice Recorder, Valet Function, Trunk/Hatch Auto-Latch. 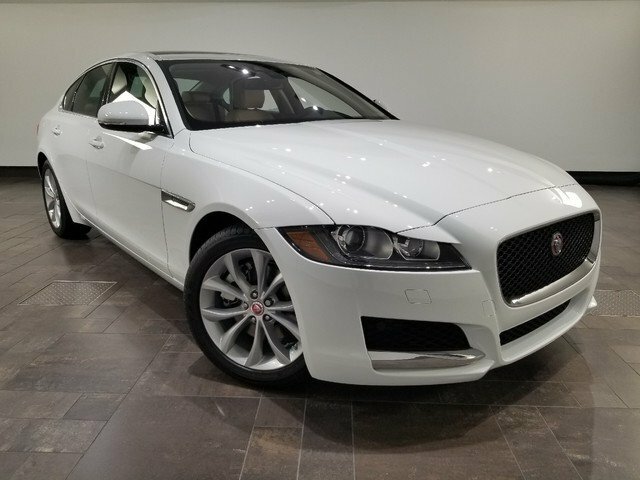 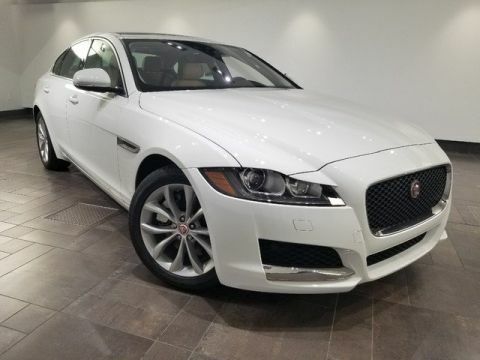 This Jaguar XF has a dependable Intercooled Turbo Premium Unleaded I-4 2.0 L/122 engine powering this Automatic transmission. 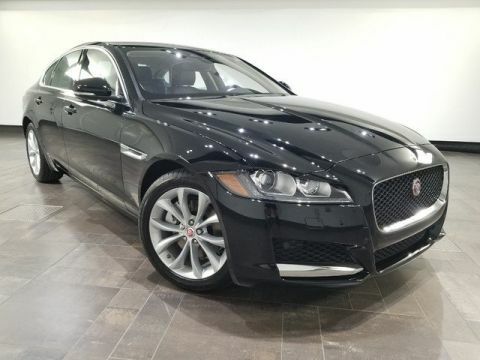 *These Packages Will Make Your Jaguar XF 25t Premium The Envy of Your Friends *Transmission: 8-Speed ZF Automatic -inc: 8HP45, black gearshift change paddles, Tires: 18, Tire Specific Low Tire Pressure Warning, Systems Monitor, Side Impact Beams, Seats w/Leatherette Back Material, Remote Releases -Inc: Power Cargo Access and Power Fuel, Remote Keyless Entry w/Integrated Key Transmitter, Illuminated Entry and Panic Button, Rear Fog Lamps, Rear Cupholder, Rain Detecting Variable Intermittent Wipers, Radio: Meridian 380W Sound System -inc: InControl touch w/8 capacitive touchscreen, dynamic volume control, Bluetooth connectivity and audio streaming, iPod integration, HD radio and USB, Radio w/Seek-Scan, Clock, Aux Audio Input Jack, Steering Wheel Controls, Radio Data System and 10 Gb Internal Memory, Quasi-Dual Stainless Steel Exhaust w/Chrome Tailpipe Finisher, Proximity Key For Push Button Start Only, Power Tilt/Telescoping Steering Column, Power Rear Windows, Power Rear Child Safety Locks, Power Door Locks w/Autolock Feature, Power 1st Row Windows w/Front And Rear 1-Touch Up/Down. * Stop By Today *Stop by Jaguar Palm Beach located at 915 S. Dixie Hwy, West Palm Beach, FL 33401 for a quick visit and a great vehicle!